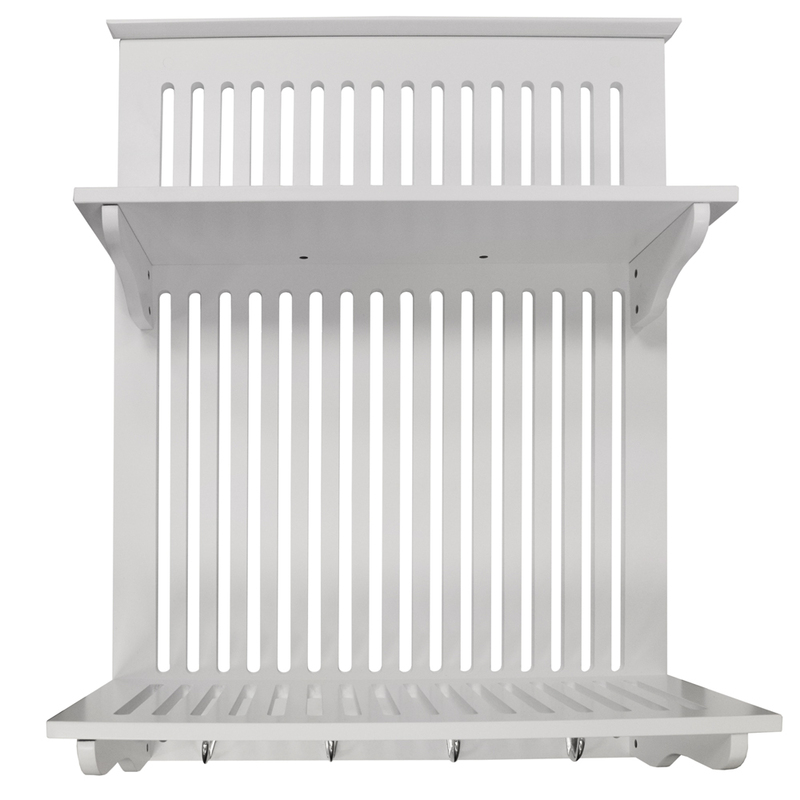 A traditionally designed white plate rack that will make a charming addition to your kitchen. 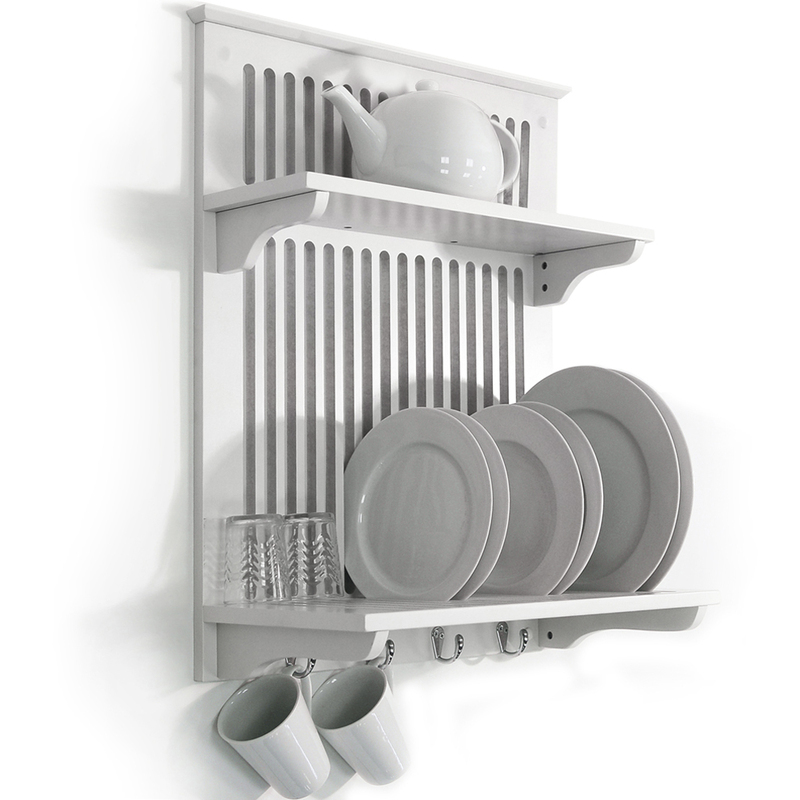 Wall mounted white painted plate rack with two tiers of storage and four cup hooks. 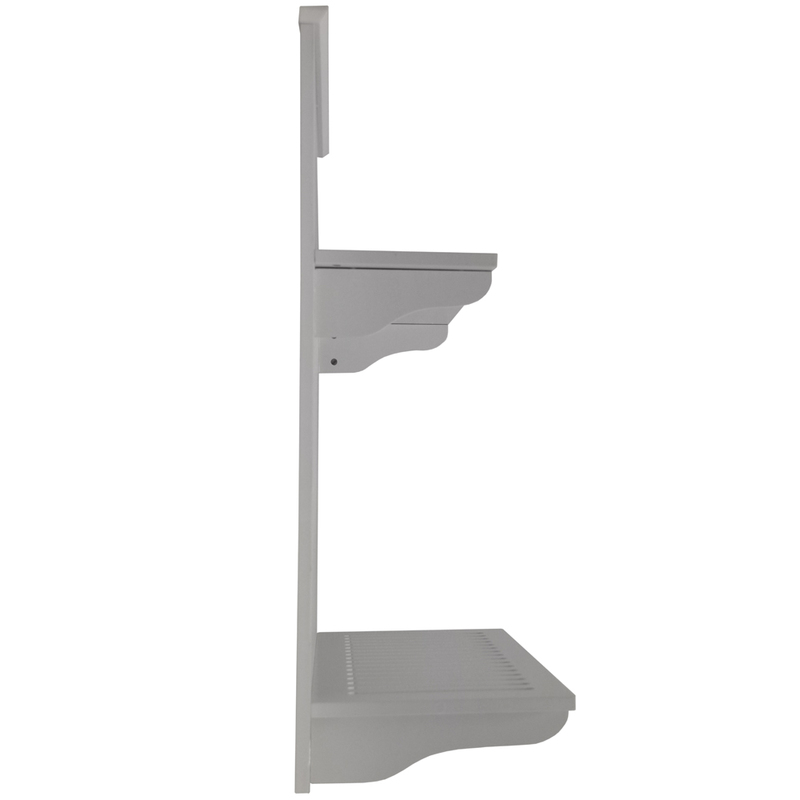 Base Shelf: 50.5 (W) x 22.5 (D) x 37 (H) cm (20w x 9.5d x 14.5h inches) - 16 Grooves: 1.2 x 20 cm (1/2 x 8 inches) each. Top shelf is 16cm (6 inch) deep and solid with no grooves. 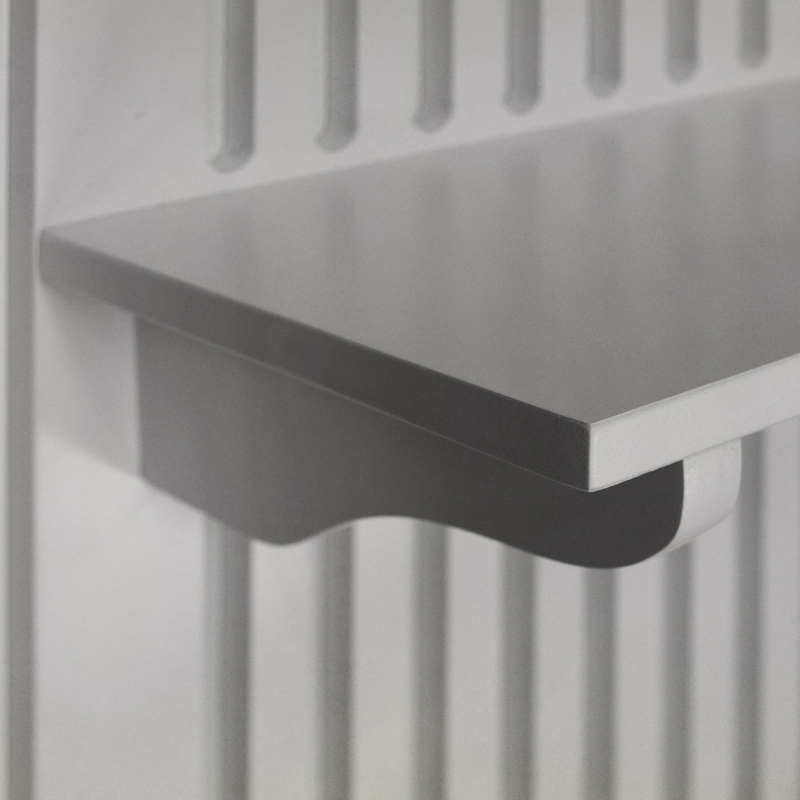 Base shelf can take 16 plates. Display items not included.